To promote physical activity, physical development and a healthy lifestyle. To develop social co-operation and positive attitudes and to compete with a sense of fair play. To promote and develop safe practice in physical activities. To provide equal opportunities for all children regardless of race, gender, background or ability and to provide a P.E. programme for children with special needs. To provide opportunities for all children to achieve their full potential. We aim to deliver a balanced programme which provides children with opportunities to promote physical development and competence and to develop artistic, aesthetic and linguistic understanding through movement. We aim to give all children the opportunity to extend their range of physical skills and develop their proficiency as well as appreciating the benefits of participation. Through physical education we aim to develop interpersonal and problem-solving skills, develop personal qualities, such as self-esteem, confidence, tolerance and empathy, and help forge links between the school and its community. At Yealmpstone Farm Primary School we are committed to providing at least two hours of high quality PE per week for all our pupils. The pupils at our school develop many physical skills by taking part in sports including gymnastics, dance, football, netball, tag rugby, tennis and basketball, cross country, athletics and swimming in KS2. We have taken part in a range of team events including: netball, tag rugby, cross country and athletics at a local level. We are able to provide sporting opportunities through our extracurricular activities which are provided by both teachers and external sports coaches. We believe that Physical Education (PE) is fundamental to our children’s development and learning. Not only does it engage and motivate children, but it is a great way for our children to develop life skills such as teamwork, determination and respect. 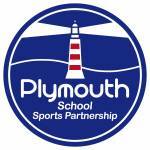 Please check out #yfpssport for all of our most recent updates. Here are the results of the competitions we have taken part in so far this year!